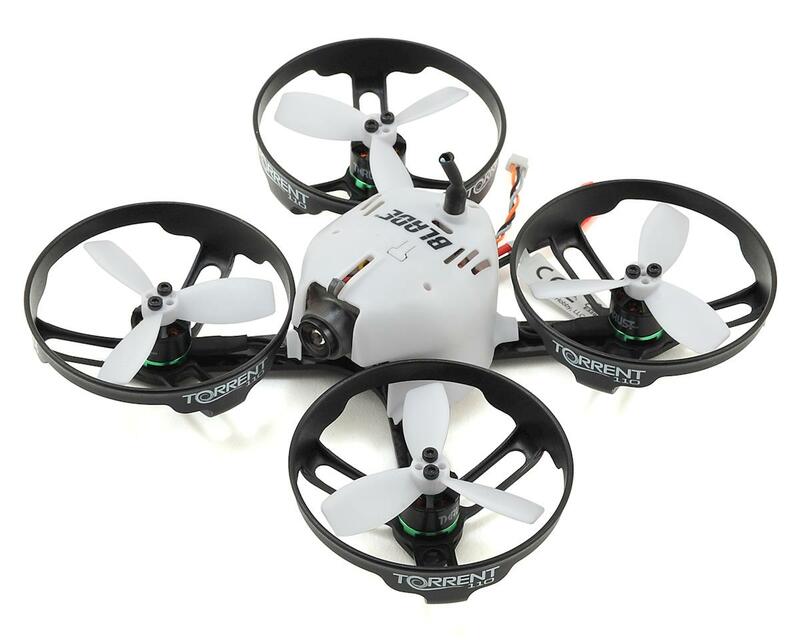 The Blade Torrent 110 provides FPV Racers a versatile platform to suit both beginner, and competitive level pilots. 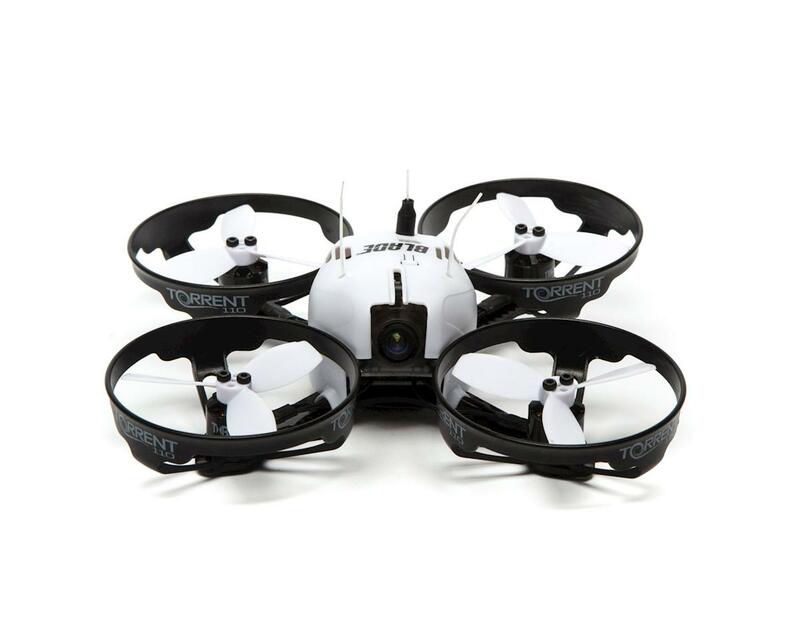 With the ability to be flown inside, & outside, the possibilities and fun levels are endless. Torrent 110 features High power Brushless Motors allow for excellent control authority for all styles of flying, durable 2mm carbon fiber frames, a 150mW Video Transmitter provides clean and powerful video tailored towards any environment, 600TVL camera equipped with a 120 degree field of view allows pilots to ensure that their next gap is totally clear, a Betaflight F3 equipped flight contoller offers endless possibilities and tuning options, a Spektrum equipped Telemetry receiver offers full flight log telemetry back to the pilot & allowing for Bind-N-Fly completion levels allows for nearly anyone with a Spektrum radio system to add this drone to their fleet. Alsome brushless fpv drone. Just stick with the recommended size batteries and give it a couple a minutes to cool off between batteries! Replace the battery strap that comes with the torrent. Mine ripped in half when I was just thrusting upward, battery flew off and unhooked, causing me to wreck pretty hard. But, I'm a beginner, so it was probably me not inspecting good enough. Either way, lesson learned. Still flys great! !